Friday and Saturday at CHILLER THEATRE in the Copper room! Just The Discs - Episode 103 - CLEOPATRA SUPER FLY! Interview about Leo Meneghetti on Vantage Point Interviews! It is said that imitation is the sincerest form of flattery.... unless your name is John Carpenter. 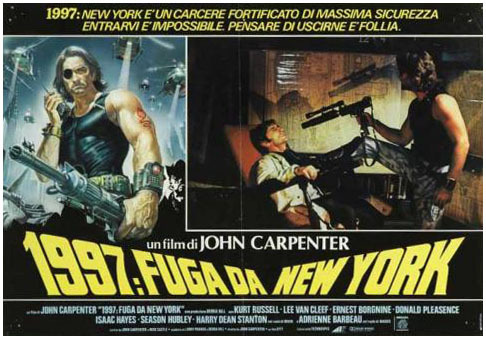 In May of 2015, John Carpenter won a plagiarism case in France over similarities between the Luc Besson produced LOCKOUT (2012) and his 1981 cult movie ESCAPE FROM NEW YORK. The sum he won--a paltry $95,000--was much less than the 2 million+ he was going for. Luc Besson and his company, EuropaCorp, decided to appeal; doing so caused the producer/filmmaker more problems. The court then ordered he pay the equivalent of U$500,000 to Carpenter in July of 2016 with the sum divided among the claimants. 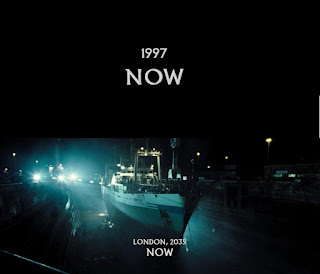 The case, filed in 2014 by both Carpenter and Nick Castle, claimed Besson's movie was literally the same as the 1981 endeavor. But what constitutes an imitation? Merriam-Webster defines it as, "the act of copying or imitating someone or something; something that is made or produced as a copy". The High Court of Paris cited a very long list of items that, in both their view and Carpenter's, imitated ESCAPE FROM NEW YORK like The Thing to the members of that Antarctic outpost. Despite the ruling in Carpenter's favor the lawsuit is bewildering for a few reasons--one of them being LOCKOUT wasn't a massive success to begin with (32.2 million worldwide against a 20 million budget). I'd never even heard of it till a few weeks ago. Having now seen it, it didn't seem anymore similar to ESCAPE FROM NY than any other action movie of the last few decades. 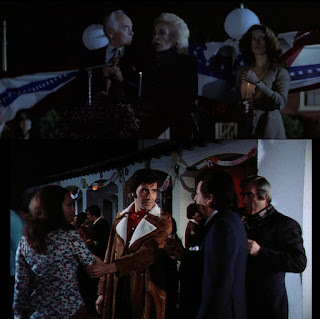 The 'rescue' portion of the movie that seemed to be the source of Carpenter's twisted breeches doesn't feel as familiar as Carpenter and the court make it out to be. If the ruling is anything to go by, it doesn't appear the films were closely scrutinized as certain details are either vague, totally wrong, or outright questionable. In this article we're going to take a look at the similarities and the differences between the two movies; and other films that have lifted themes and topics. In the court ruling it says at one point, "The court nevertheless noted many similarities between the two science-fiction films: both presented an athletic, rebellious and cynical hero, sentenced to a period of isolated incarceration". How many fat slobs are action heroes, exactly? Elsewhere it says, "[Snow] is given the offer of setting out to free the President of the United States or his daughter held hostage in exchange for his freedom; he manages, undetected, to get inside the place where the hostage is being held, after a flight in a glider/space shuttle". In ESCAPE FROM NEW YORK, the mission is to rescue the president. Rescuing the daughter was in ESCAPE FROM LA--a film not mentioned in the judgment (at least the parts I have read). How many rescue mission movies are there again? Thousands of them? Does Carpenter have some exclusivity clause that only HE can make a movie where a president or relatives of said president are put in peril and must be rescued? We did, after all, have two very similar "rescue the president" movies in 2013 with WHITE HOUSE DOWN and OLYMPUS HAS FALLEN and not an infringed ego in sight. Takin' it way back, the president of the US had been kidnapped a full year before Carpenter did it. In 1980s THE KIDNAPPING OF THE PRESIDENT, William Shatner must save POTUS Hal Holbrook while being held hostage aboard a booby-trapped armored vehicle primed to detonate within a certain amount of time. In reading the court ruling descriptions, I was reminded of the plot of THE DIRTY DOZEN (1967); that film where the title 12 prisoners are given a veritable suicide mission that requires they enter the locale of their target(s) undetected; and if successful, guarantees their freedom. Naturally certain elements are altered but the template is basically the same... in exchange for their freedom, athletic, rebellious and cynical heroes must get inside--undetected--the place harboring their targets. 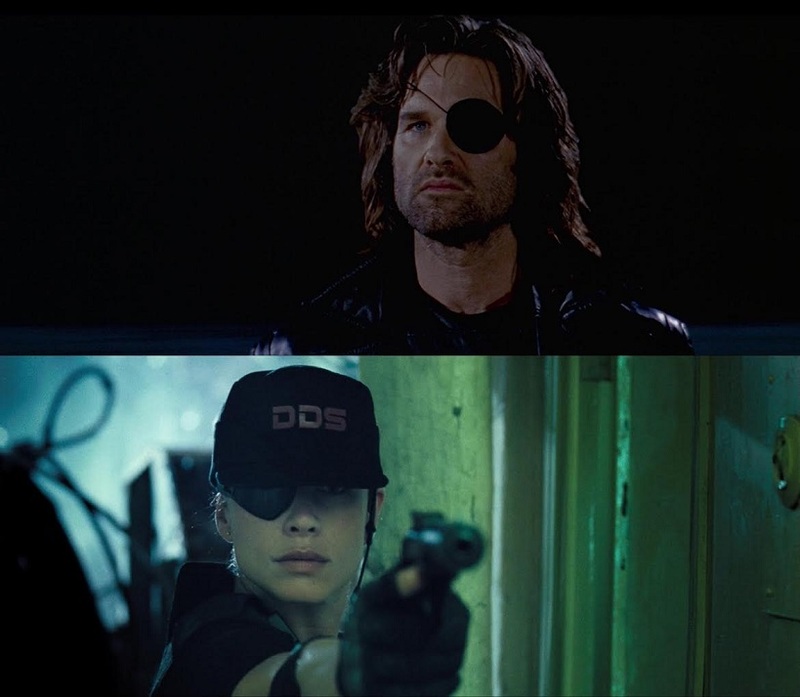 Furthermore, Snake wasn't sent in to rescue the president's daughter in ESCAPE FROM LA; he was sent in to kill her and retrieve a black box containing world codes for EMP attacks. How is this ruling even viable if some of the main points of the suit aren't in the damn movie that is purported to have been plagiarized? 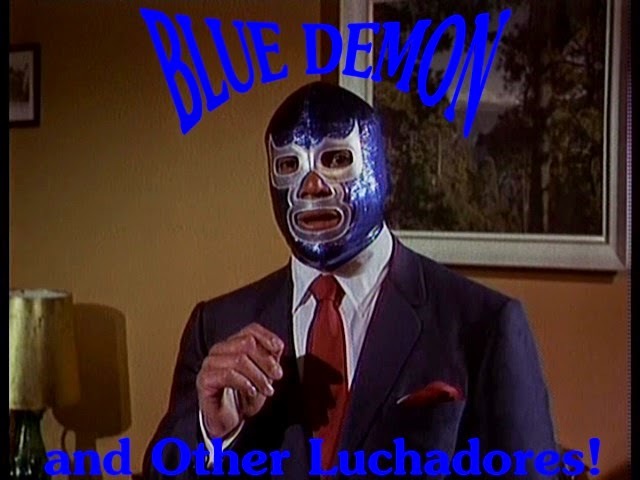 A negotiator goes aboard MS1 to try and get the president's daughter out using a deception. It goes bad and Snow--attached to the hull of the shuttle--is ordered to get inside since the first plan didn't go so well. He's immediately spotted by one of the criminals and the leader is informed it's a trap; whereby they begin searching for him. How many "rescue the daughter" movies have their been? Can you sue for rescuing a daughter or only if they're the president's daughter? And is that any president, or just the president of the United States? "Look, CanalPlus is the company that, with me, owns ESCAPE FROM NEW YORK... You have to change a couple things. He’s after the president’s daughter? Come on. So I took him to French court". Let's look at some other differences between these two rescue movies, shall we? Let's also include LA as well. 1. Snow has a partner named Mace. 2. Snow is an ex-CIA operative. 2a. Snake is a decorated war hero. 3. Snow talks a lot. He's a walking quip machine for 95 minutes. 3a. Snake says very little. 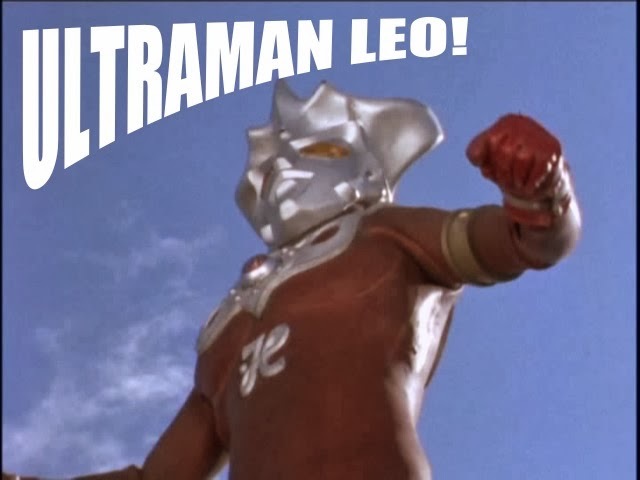 He's the strong, silent type. 4. MS1 is a literal prison. 4a. New York is a veritable prison. 5. Snow runs into the president's daughter as soon as he gets aboard. 5a. 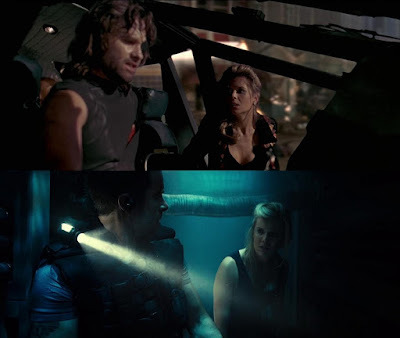 In ESCAPE FROM LA Snake spends the bulk of the movie searching for the black box and the president's daughter who he's supposed to kill, not rescue. 6. In LOCKOUT the president's daughter enters the space prison on a humanitarian mission and is trapped there and constantly threatened. Her father wants her back alive. 6a. In ESCAPE FROM LA the president's daughter enters LA to join the criminals of her own accord. Her father wants her dead. Another difference--and a big one--is that LOCKOUT isn't technically a dystopian-style, futuristic action thriller. Outside of a quip from Snow about his taxes being raised again it's ambiguous as to the status quo situation. There is none of the defeatist prophesying akin to what Carpenter did in both ESCAPE movies. LOCKOUT is most favorable to the 1980s Action Hero paradigm. 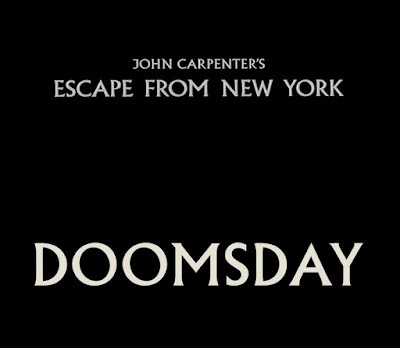 The tone is upbeat and hopeful while ESCAPE FROM NEW YORK is downbeat and hopeless. Anyone seen Enzo G. Castellari's 1990: THE BRONX WARRIORS (1982)? Anyone? I am curious if Carpenter has seen it and what he thinks of the clear and present poaching done from his ESCAPE. In that one the president's daughter(!) of The Manhattan Corporation has escaped into the "No Man's Land" that is New York--now run by roving gangs who've seen THE WARRIORS (1979) one too many times. Castellari does in fact know about court injunctions regarding blatant ripoffs. If ever there was a literal copy of another filmmaker's work it's THE LAST SHARK (1981) to Spielberg's JAWS (1975). On the other side of the coin, maybe Castellari can sue John Carpenter for using the "president daughter" motif for his ESCAPE FROM LA (1996)? On a side note, I am curious if the Village People could have sued for the use of their likeness on the Italian locandina. Don Siegel's ESCAPE FROM ALCATRAZ (1979) has a certain ring to it as well, doesn't it? Some of the details specified in the ruling are utterly retarded by their inclusion; or give the impression those involved in deciding the case didn't watch the film(s) too closely. 1. 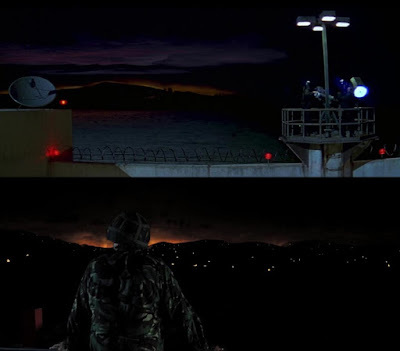 Comparisons are drawn to the fact both men are wearing black; that police are wearing helmets; that both films take place at night (no, seriously, did you expect sunlight in outer space? ); and that "the head prisoner is violent"... so how many passive villains are there, exactly? And who would want to watch one?! 2. The injection Snow receives prior to accepting the mission was for his preparation for stasis aboard MS1 where all the prisoners are kept in suspended animation; not the purposes of his termination should he not complete the mission in the time allocated as in ESCAPE FROM NEW YORK. 3. 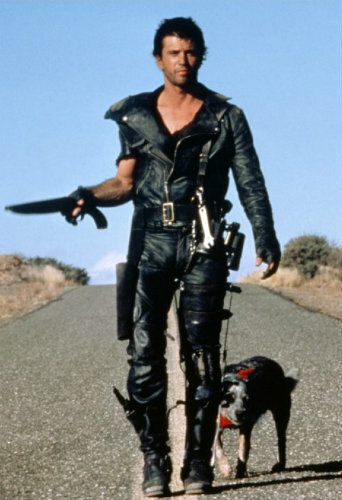 At no point in the movie does Snow receive a leg injury resulting in a limp a la Snake Plissken. 4. Who doesn't struggle to recover after being knocked out? 5. There is no prisoner mutiny in ESCAPE FROM NEW YORK. 6. There is no scene in LOCKOUT of a "helicopter shooting fugitives at night". Snow is on the run and is pursued by the police and a military-styled, futuristic chopper (this is 2079, after all). In ESCAPE FROM NEW YORK, a plain, everyday helicopter bombs some prisoners trying to escape Manhattan Island. How this is supposed to evoke imagery of Carpenter's movie is anyone's guess. If nothing else, it resembles BLADE RUNNER (1982). 7. The briefcase Snow is after contains secrets about the Space Program. He manages to hide them with the help of his partner, Mace. Mace is the reason Snow accepts the job after secretly learning he is aboard the space prison. No one but Mace knows the location of the briefcase--the contents of which may clear Snow's name (although a last minute twist reveals it to be something else entirely) and reveal who was really behind the death of his CIA friend. This contradicts the use of a briefcase in ESCAPE, carried by the POTUS; containing an audio cassette detailing the construction of a new bomb. 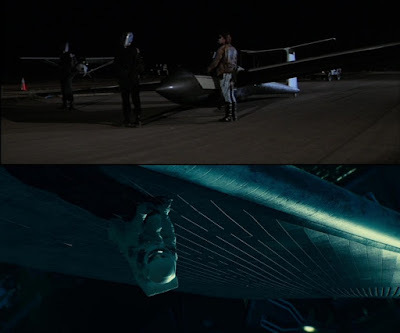 The two films share nothing in common in this instance other than a damn piece of luggage. Now that I think about it, both Snow and Snake smoke cigarettes so Carpenter could have nailed them for copying a hero who smokes death sticks. Could you watch LOCKOUT and say, "hey, this reminds me of ESCAPE FROM NEW YORK"? Of course you could. 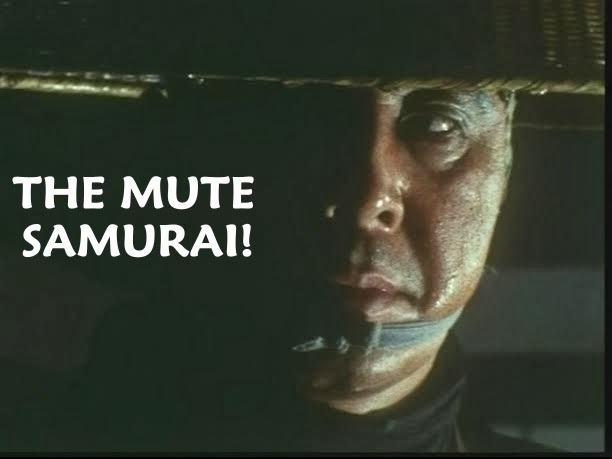 And you could easily say the same in regards to STAR WARS (1977), BLADE RUNNER (1982), DIE HARD (1987), and even BATTLE ROYALE (2000)--from the look of the movie, to the types of weapons used (the exploding head gag), the action scenario of sneaking around in the ducts, to the space battle at the finale. From Carpenter's own words, CanalPlus also wanted to sue Hideo Kojima, creator of the wildly popular video game series, Metal Gear Solid; the character named Solid Snake is reminiscent of Snake Plissken. Carpenter wasn't interested in this lawsuit stating, "I know the director of those games, and he’s a nice guy, or at least he’s nice to me". 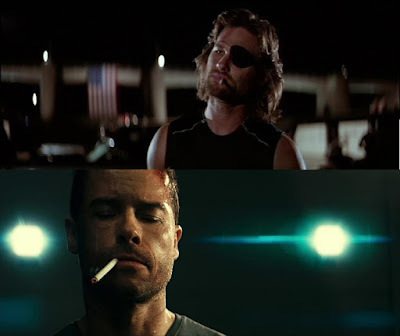 Other characters--some of whom have Snake in their name--wore an eyepatch and or talked in that deep, low tonality of Plissken's that Jason Statham has since adopted for every movie he's done, only Carpenter hasn't sued him, either. John Carpenter is quite the hypocrite for suing in the first place when you take a closer look at certain titles in his filmography. Possibly this was a move designed to help finance his concert tours; or the fact he's executive producer on a proposed remake of ESCAPE FROM NEW YORK (which seems to be what this is all about); or that he never got to make 'Escape From Earth' and Besson made a film similar to that concept. 'Escape From Earth' was the intended third Snake flick that Carpenter and Russell had an idea for had ESCAPE FROM LA been successful. Carpenter said in a September 1996 Fangoria interview, "there's nothing like a hit... what's the only place left to escape from? It's Earth. We have a story... we'll just have to wait and see". 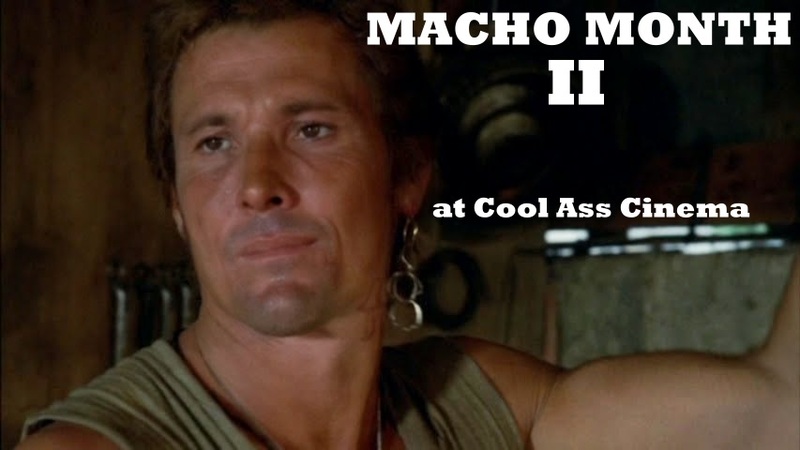 Unfortunately, the cult audience of the original was about all that showed up to buy a ticket for the sequel that was essentially a souped-up, more action-packed remake of the original. Everyone knows about HALLOWEEN (1978). There's no denying it's a fantastic horror feature. Still, the famed POV shots of the killer were done equally effectively in Bob Clark's BLACK CHRISTMAS (1974); a film where, like HALLOWEEN, a young lady discovers the corpses of her friends piled, or herded into a single room (a slasher staple when the genre became fashionable). 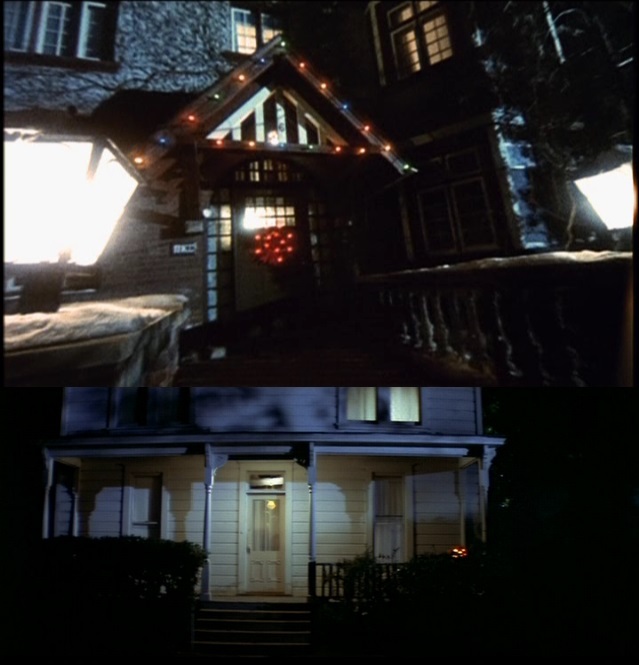 Both films even begin with a POV of the killer approaching a house where a murder is about to take place. According to Clark, he didn't wish to make a sequel to BC but had he done so it would have been titled 'Halloween'; it would be about the killer's capture and subsequent escape from a mental hospital thereby returning "home" to stalk and kill again. Clark gave the idea to Carpenter who then fashioned his own movie out of it. Then there's THE FOG (1980). 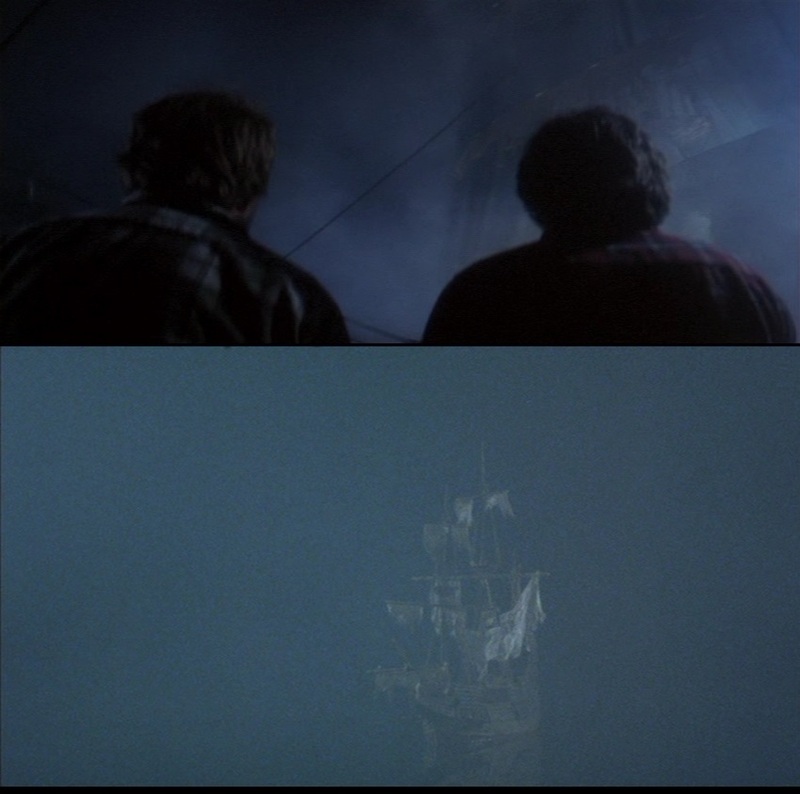 Like ESCAPE FROM NY, it too is a fabulous film (with one of the spookiest opening sequences ever devised), but its tale of ghost ships, hellish fog, and bloodthirsty spirits of rotting, leper pirates combines plot elements of Amando De Ossorio's 2nd and 3rd Blind Dead movies; those being 1973s RETURN OF THE EVIL DEAD (EL ATAQUE DE LOS MUERTOS SIN OJOS) and 1974s THE GHOST GALLEON (EL BUQUE MALTIDO). You have the 100 year centennial celebration and eventual, vengeful return of the slain monsters of the former (itself indebted to Romero); and the ghost ship enveloped in an otherworldly fog of the latter. Aside from borrowing elements from other pictures for his own ventures, Carpenter occasionally ripped himself off; one such occasion was with GHOSTS OF MARS (2001) wherein a script initially intended as Snake's third chapter became an American version of Mario Bava's PLANET OF THE VAMPIRES (1965). At heart a martian retread of NIGHT OF THE LIVING DEAD's (1968) siege formula, GHOSTS likewise cloned Carpenter's earlier flick that reeked of Romero, ASSAULT ON PRECINCT 13 (1976)... a film that was predominantly a modernized do-over of RIO BRAVO (1959). Should Katherine Bigelow sue the makers of those FAST AND FURIOUS movies for aping her POINT BREAK (1991)? Should Kevin Costner sue James Cameron for AVATAR (2009) and the makers of THE LAST SAMURAI (2003) over similarities to DANCES WITH WOLVES (1990)? Which in turn Costner should be sued by Elliot Silverstein and the makers of A MAN CALLED HORSE (1970). Maybe Spielberg should reconsider suing Joe Dante and Roger Corman for PIRANHA (1978); or Russell Mulcahy for RAZORBACK (1984); or Edward L. Montoro for GRIZZLY (1976) if he can find him. 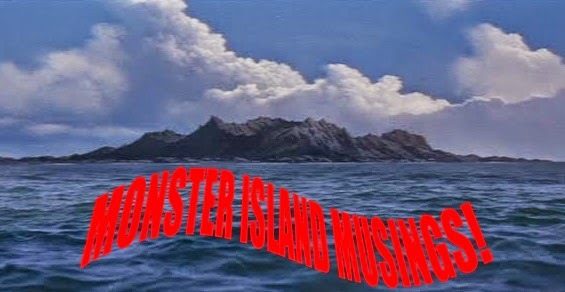 Or maybe Corman could counter-sue Spielberg since the director has said JAWS is a bigger budgeted Roger Corman movie. 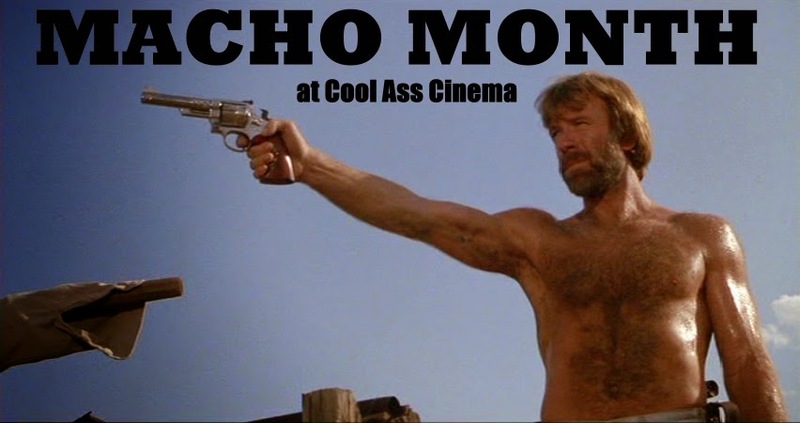 In other cloning news, Sergio Leone did settle out of court with Toho over the striking sameness of FISTFUL OF DOLLARS (1964) to YOJIMBO (1961). Speaking of Italian clones, the American production company, The Asylum, has been keeping the Euro spirit of a bygone era alive since 1997. 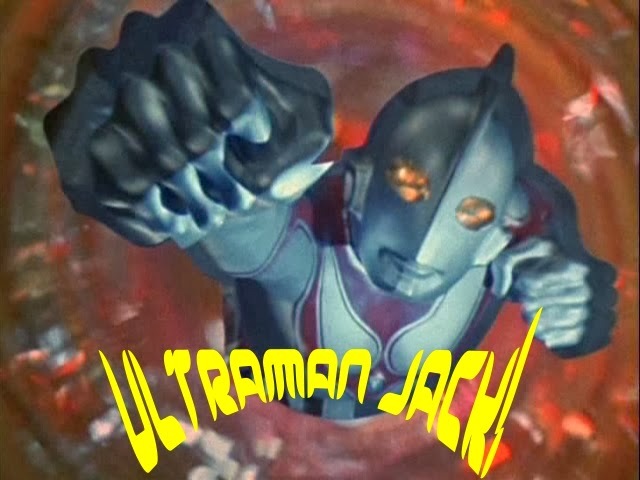 They were sued in 2012 over familiarity with Universal's BATTLESHIP movie. Despite flagrantly identical promotion, Asylum was simply required to change the title from AMERICAN BATTLESHIP to AMERICAN WARSHIPS... and all was well in the universe. One of their recent crap titles is IN THE NAME OF BEN-HUR! Since LOCKOUT got cordoned off at the box office, few seemed to point out, or even notice, anything that screamed 'Snake Plissken' prior to this lawsuit that took two years to even come about. Take this 2012 LOCKOUT review from Screen Rant for instance. Nowhere in it do they mention it's a clone of ESCAPE FROM NEW YORK. It seemed to have slipped past Roger Ebert's review as well. Nor did anyone seem to notice in this LA Times review from 2012, either. Now, some critics did cite comparisons to ESCAPE, but others either didn't see it, or didn't think it was overbearingly noticeable enough to mention. Ironically, the film has been referred to as "DIE HARD in space"; and the blurb on the bluray cover says, "DIE HARD meets BLADE RUNNER".... Plissken escaped being noted. Since we're talking John McClane, how many movies have blatantly aped the DIE HARD schematic? If there was one guy who could have sued it is George Miller. 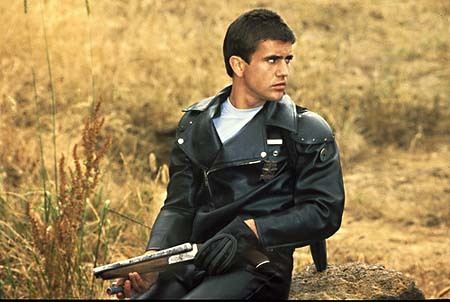 After MAD MAX (1979), and especially THE ROAD WARRIOR (1981), he not only made the apocalypse fashionable (lots of good guys wearing black before Plissken wore it), but monetarily attractive for a great many filmmakers. Gas might of been in short supply but there was no shortage of desert-set movies--both foreign and domestic--that glaringly cloned Miller's movies. In 2008, Neil Marshall (THE DESCENT) made a B movie (okay, C movie) mishmash titled DOOMSDAY--about Kate Beckinsale lookalike, Rhona Mitra, as a one-eyed military gal on a mission to find the only scientist who can cure a devastating virus. Located somewhere inside a fortified prison wall around Scotland, the place is run by various gangs representing both the past and a Carpenteresque, dystopian future. With a time limit to find him (does this sound familiar yet? ), she and her team run afoul of a cannibalistic gang led by Rob Halford with a Mohawk. The picture then goes to Medieval World for about 20 minutes before returning to ESCAPE again, and blatant ROAD WARRIOR territory for its conclusion. Not only is the music eerily similar (with some cues sounding exactly like JC's ESCAPE score), Mitra's Major Sinclair has only one eye and occasionally wears an eyepatch! 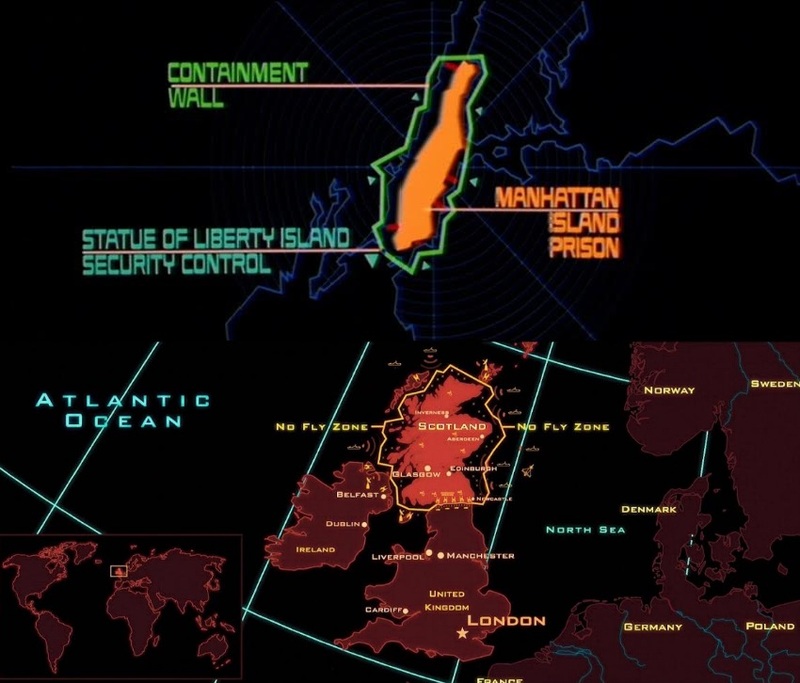 In addition to the familiar music cues, certain shots are virtually identical to ESCAPE and its sequel; as is the opening narration describing the "prison wall" surrounding Scotland. Marshall's movie even uses the same font for the opening credits! And no peep from John Carpenter. Like Kojima, Marshall must be a nice guy... at least nice to Carpenter. Much like the approach taken with LOCKOUT, Marshall's movie is an amalgamation of assorted ideas from other pictures. The end result might be a love letter to Marshall's favorite movies, but is lacking considering what the director had done with DOG SOLDIERS and THE DESCENT (2004). The ESCAPE cloning is far more obvious than anything in LOCKOUT. It's the most brazen example of thematic pilfering since the glory days of Italian exploitation. And that's exactly what DOOMSDAY feels like... a glossier version of an Italian imitation. Considering there's dozens of movies that bear similarities to one another; and that the Italians built an entire industry around ripping off American movies; and that Carpenter himself has built his career around lifting from other sources, a new, alarming precedent has been set for artistic expression--albeit one that occurred in France--that could possibly prove worrisome for the future... especially the always impending, dystopian future prophesied by left-wing filmmakers. Labels: Remakes: Redux Or Ridiculous?